CLAYTON COUNTY, Ga. -- A burglary suspect was hurt in a shootout with Clayton County Police Thursday afternoon in Ellenwood, in the second of two incidents. Four suspects were taken into custody after the incident, which started as a burglary call on Katherine Village Drive. When officers arrived there, they found two suspects trying to break into a house there, One fled on foot, and was quickly apprehended. The second suspect was ready for a gunfight with police. "The suspect trying to flee in the vehicle was armed with a Beretta 9 mm semi-automatic pistol with an extended magazine," said Clayton County Police Chief Michael Register. "During the attempted arrest, the suspect that was armed was shot." The suspect was shot in the torso and is expected to be okay. The officers who were involved were not injured. JONESBORO, GA (WXIA) -- The price for a day pass to a Clayton County water park tripled from what one customer expected on Labor Day. "We saw a lot of people turning around because it was fifteen dollars," said Demetera Tooks. Family after family said the same thing. "The last time I was here it was just five dollars," said Rouarroyo. "Online it said that we should pay five dollars. In the front they said it was fifteen dollars per person," Tooks said. Most paid it anyway. With their children already in swim suits, it was too late to change plans. "this is what I had planned for a week, actually. I had been going on line, looking at the pricing," said. CLAYTON COUNTY, Ga. -- Police confirmed Friday night that the victim in a fatal shooting near College Park was the stepfather of one of the two suspects arrested in his death. Clayton County Police responded to Brookside Apartment Homes on the 5400 block of Riverdale Road just before 10 p.m. There they found Malik Ramee,23, unresponsive who had been shot several times. Investigation later revealed that Ramee was allegedly shot by his stepson, John Barnes, 19, and his friend Elijah Young-Williams, 17. Barnes said his mother had asked him to go to the location to retrieve her keys. When he arrived, a fight broke out and both teens allegedly pulled guns shooting Ramee to death. The two were arrested and warrants obtained for murder in the death of Ramee. Both Barnes and Young-Williams were transported to the Clayton County Jail. 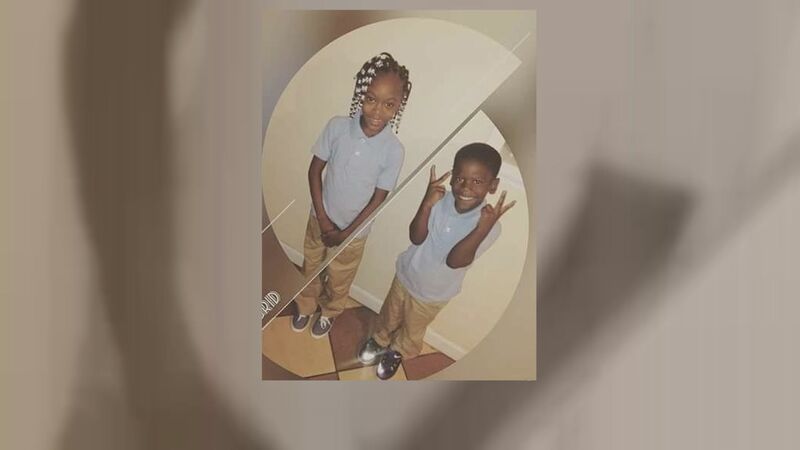 JONESBORO, Ga. -- Police say a mentally ill woman and her five young children have been found after going missing for two days. Officials said Janee Dichier Ruffin-Cooper, who suffers from bipolar disorder, manic depression, paranoia and schizophrenia, walked away from a Clayton County home with her five children around 2:30 p.m. Saturday. A concerned family member said Ruffin-Cooper had not made contact with friends or relatives and were concerned because she was without her medication. Christina Heath, owner of Ernie's Bait and Tackle, told 11Alive's Duffie Dixon that the family walked into her shop on Tara Boulevard Saturday afternoon and asked for help. "She just explained that she needed some place to go, that she was in a domestic violence situation that someone had smacked her children and she needed somewhere safe to go," Heath said. "The children had all told me they had been hit." RIVERDALE, Ga. -- A crowd of dozens came to a Clayton County street corner tonight to honor two children killed in a fatal car crash. The truck driver told police he could not avoid hitting the car. Both he and Jasmine Hamrick were not injured. Jasmine Hamrick had just picked up her children from her mother's home. She watches them after they finish school at Church Street Elementary in Riverdale. The children's grandmother, Dena Bennett, said her daughter is inconsolable and she too is heartbroken. "Those babies were my life. They were just a joy," Bennett said.